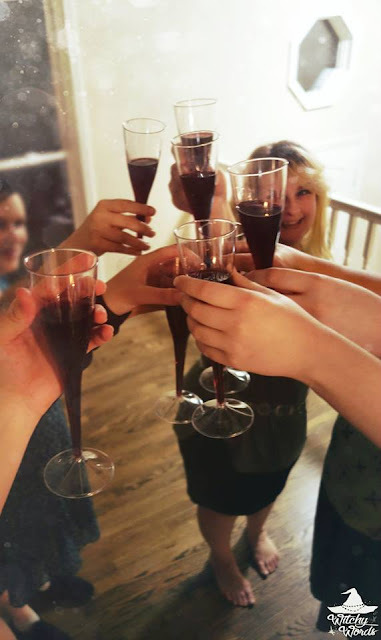 Witchy Words: What is Drunk Divination? Back in 2015, my husband and I rented a house that needed an excessive amount of repairs. We had hoped that, alongside the property management company and the landlord, we would be able to restore the century-old house and modernize it. Unfortunately, we ran into a life-threatening and hazardous situation ranging in thousands of dollars and the homeowner could not afford to repair it. Our property management company would not allow us to stay and, with mine and the familiars' health situations, we really couldn't even if we wanted to. The homeowner couldn't afford to pay the mortgage on the property without a renter. The property foreclosed and we had to say goodbye to our gorgeous Queen Anne home. The day I found this out, I was utterly devastated. This home was everything I wanted and more but the homeowner had not maintained it in the last decade. We couldn't afford to be that deep in repair work to a home that couldn't safely house us. I cried. I screamed. I boarded my cats and began moving boxes back down to the front area. We hadn't even gotten unpacked yet. I was... broken. That's when my circle showed up at my doorstep with alcohol and tarot decks. Sprawled out in the guest room, they tried to take my mind off of losing my dream home. 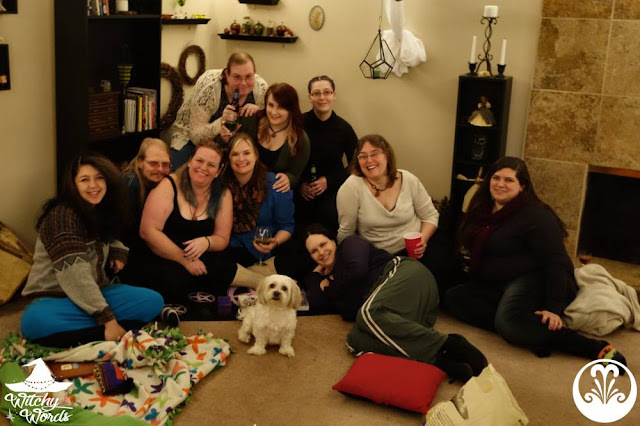 This was our very first of many events we now call "Drunk Divination." Drunk Divination has become a staple for our circle. We hold one every month in conjunction with a Primary Member meeting and refuse to miss. The alcohol is certainly not required but the divination portion is. We spend the first hour pouring drinks, laughing and enjoying each other's company. By the second hour, the social lubricant has kicked in and everyone's moved to the floor of the ritual room for readings. Circle of Fountains is a heavily task-oriented circle. If we're not creating a public ritual or class, we're working with our Novices or building our own circle courses. We hold a full moon ritual every month and sabbat rituals every holiday. 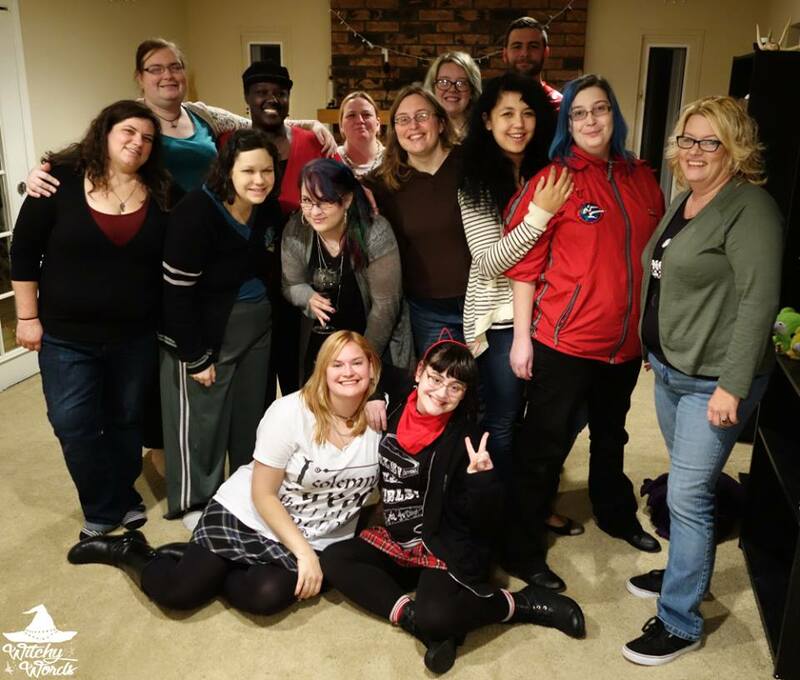 "We're a productive group," Primary Member Amy says, "So it's nice to have some time set aside to just informally hang out together." That's where Drunk Divination comes in. 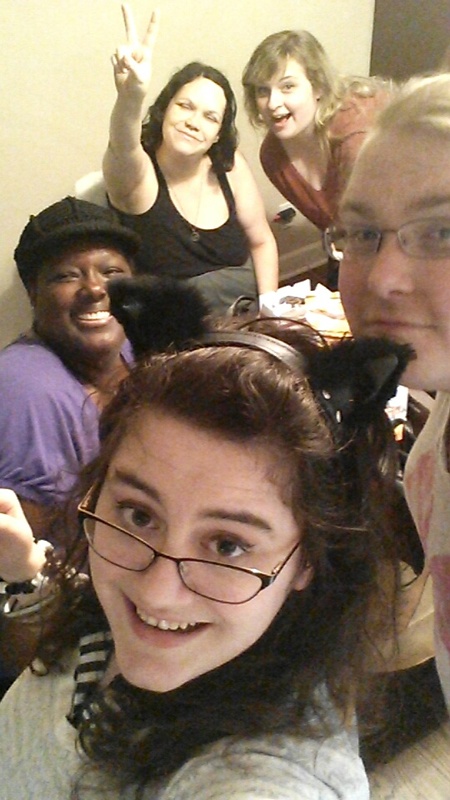 It's difficult to build family in a coven that's all work and no play. If everyone is stressed and overwhelmed, establishing a relationship can be tumultuous. With this event, everyone has a chance to meet and socialize without the pressures of ritual, organization or classwork. Drunk Divination gives us a "bonding opportunity paired with wine," Primary Member Andrea says. It's how we build our internal community. It also promotes magical experimentation. With divination, it's easy to get stuck in two points of view: Either divination is a serious ritual that requires the ultimate concentration and eloquence or it's a performer-client based relationship where money is exchanged and professionalism is required. Neither of those fit the description of Drunk Divination. Our monthly events are informal, relaxed and entertaining, giving circle members a casual middle ground to explore divination without heavy commitment or stress. As Primary Member Laura puts it, "It gives me time to work on my divination in a comfortable energy environment." So while something like Drunk Divination may seem like a childish or ridiculous inclusion to some covens, it certainly has its benefits within Circle of Fountains. 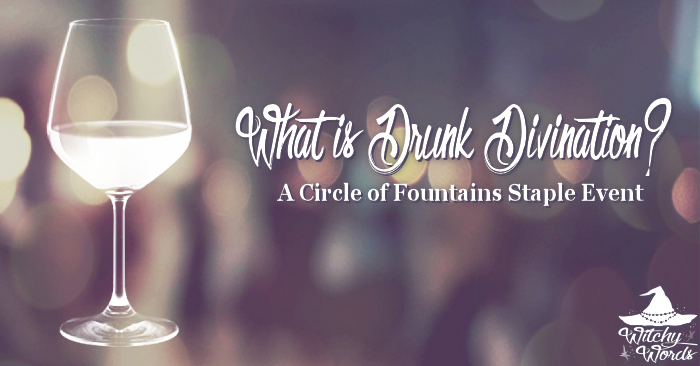 Between bonding with other circlemates and exploring your own divination preferences in a relaxed environment, Drunk Divination is a Circle of Fountains event that's here to stay. That is such a cute idea. I never thought of my BFFW's doing that. Great idea. I'll have to run it by them at our next coven get together. Thank you so much, Leeanna! Let me know if your coven decides to give it a go! I love how you've made this a regular thing. 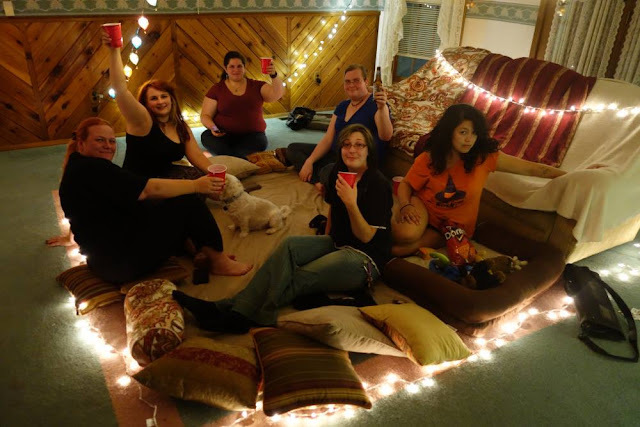 I remember reading about the first Drunken Divination session and wishing that me and my Pagan friends lived close enough to each other to be able to do something similar.